In the wake of the Parkland, FL school shooting from February of 2018, the forward momentum for the gun rights movement has stalled in many state legislatures around the country. While there have been some bright spots — like Wyoming’s passage of Stand-Your-Ground law 30 days after the Florida shooting — many states abandoned pro-gun bills and began to look at advancing gun control legislation. And the states considering gun control legislation are not just ‘blue states,’ but Republican strongholds like Missouri, Iowa, Ohio and others. The go-to bill for both Republicans and Democrats, looking to capitalize on the death of innocent children in their quest to advance gun control legislation, has been ‘Red Flag Gun Seizure’ legislation. Also known as extreme risk protection orders, ‘Red Flag Gun Seizure’ legislation was passed into law in Florida and Maryland this year — and is already on the books in Vermont, Maryland, Rhode Island, New Jersey, Delaware, Massachusetts, and Illinois. 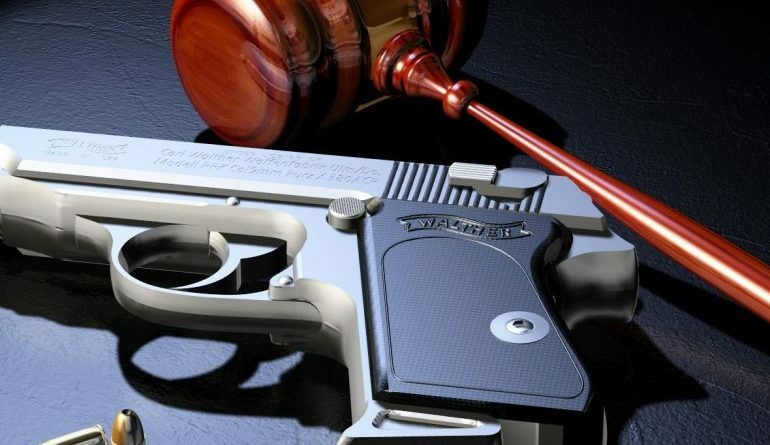 In addition, lawmakers in Iowa, Missouri, Ohio, Minnesota, Colorado, New York and many others tried to pass ‘Red Flag Gun Seizure’ legislation and are publicly planning to resume this fight in the 2019 session. 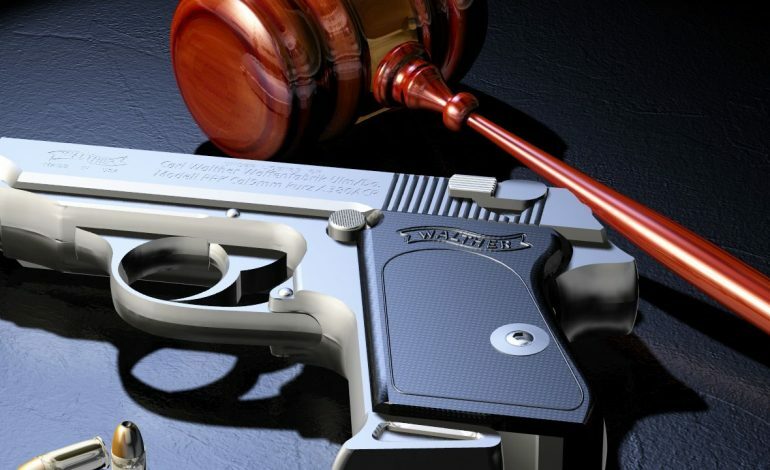 In a nutshell, ‘Red Flag Gun Seizure’ legislation allows someone to make a claim that a gun owner is a threat to themselves or someone else and allows a judge order the firearms to be seized pending a future hearing. But that is the wrong approach, for numerous reasons. Guns Seized Before You Have Been Convicted! The concept of innocent until proven guilty is sacrosanct in the American jurisprudence system. Americans are simply not allowed to be convicted and stripped of constitutional rights and freedoms without being convicted in a court of law, where their due-process rights can be protected. But this standard of due process is completely upended via ‘Red Flag Gun Seizure’ legislation, in that these seizure orders are being issued BEFORE a gun owner has been convicted of anything! More than that, your guns can be seized before you have even been indicted or even charged with any criminal wrong doing! Complaint Made Through Secret Ex-Parte Hearings! Gun owners should be especially concerned about the fact that every single version of this legislation that has been drafted allows for the petitioner to make their allegation via ex-parte hearings. In other words, the hearing will take place without the gun owner even being present or able to make a defense for himself. More specifically, you would not even know that a hearing is under way until law enforcement officials arrive at your door to announce they are there to seize your firearms! The Evidence Than Can Be Used Against You! Tucked deep inside the various ‘Red Flag Seizure’ proposals is a list of the various types of evidence that can be used against you. The bill drafts in Iowa, Missouri, New York, and Wisconsin, just to name a few, specifically state that the ‘recent acquisition of a firearm’ constitutes evidence that can be used against you! Buy a new gun for the fall deer opener? That can be used against you. Give your wife a new handgun for Christmas? That can be used against you. Receive a family heirloom firearm from your father or grandfather? That can be used against you. Nor do the bill drafts require that the judge consider the recent acquisition in part of a larger context; you could be subjected to a seizure order just because you bought a gun! Who Can Make These Charges Against You? Gun owners need to be very aware of who is able to make these claims against you, as it is not just members of law enforcement or local prosecutors. Every version of this legislation allows family members — and ex family members — to make these allegations against you. Virtually every gun owner knows someone who has gone through a very disagreeable divorce or went through one themselves. We all know how embittered an ex-spouse can become during that process. But the list of people who can file these complaints goes far beyond law enforcement or family members. The New York draft of this bill, A. 11148, allows almost any school employee to make this charge against you, as well. Some of these school employees include: teachers, guidance counselors, psychologists, social workers, nurses, administrators, or any other school employee who holds a teaching certificate. In other words, virtually anyone who works in the school system can make this charge against you! Will A Judge Issue These Orders? That is simply not the case. In Florida, within three months of this law taking effect, over 450 gun owners had had their firearms seized. With the media, lawmakers, and Bloomberg-funded organizations howling for nothing short of disarmament of the American people, the pressure on these judges is white hot. Simply put: judges will rush to sign their gun seizure orders; they will be too afraid not to. This is not an effort being pushed by Democrats alone. In Ohio, Republican Governor John Kasich and Republican lawmakers in Ohio have been leading this charge for the last year. In Iowa, Republican House Speaker Pro-Tem has been leading the charge for this bill, publicly working across the aisle trying to rack up the votes to pass this legislation. In addition, Republicans in Wyoming, Wisconsin, and Minnesota have also been working to advance this legislation. The bi-partisan nature of this legislative attack makes it incredibly dangerous. In addition, the fact that this is not a straightforward AR15 ban, high capacity magazine ban, or a Michael Bloomberg-backed universal firearms registration bill means that this legislation is simply not on the radar of many gun organizations collectively, and gun owners individually. If gun owners do not get up to speed on this legislation very quickly, we are likely going to see a large number of additional states pass this legislation next year. Need more info on legal protection and Governor Mike Parsons phone #.